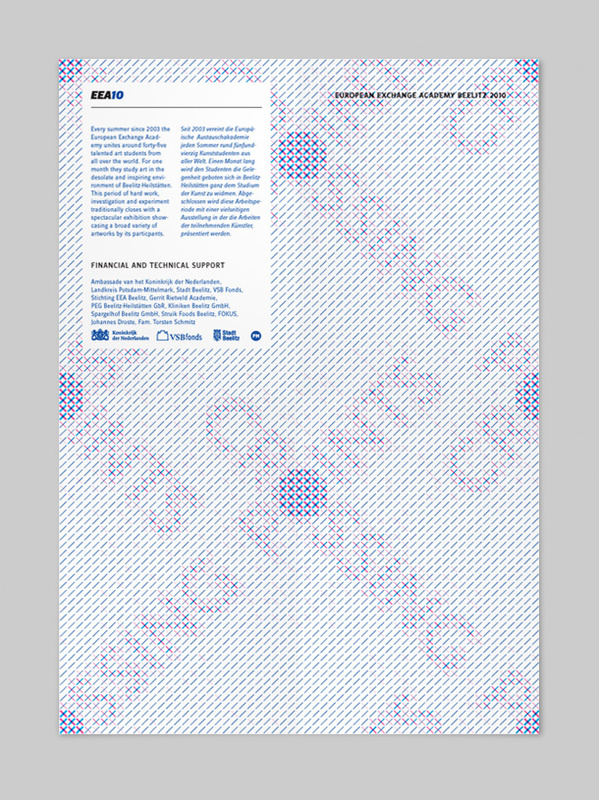 Invitation design for the annual European Exchange Academy final exhibition talking place in Beelitz, Germany. The title is set in overlapping transparent strokes, creating darker ‘crossing points’ on the places they intersect. These crossing points write the words ‘crossing points’ again. Designed for mailings but because of their modular design, also suitable for covering larger spaces of wall creating endless patterns of crossing points.